Yay! Well, everyone here's a brand new hair tutorial made by my dear friend Anastasia from Free & Wild and myself. Yesterday we kicked in and descied to make a very casual n' sweet hairstyle and I think this one really fills up our expectations. Normally, it's very easy, and I hope you'll enjoy it! We are both so excied! First you'll want to braid a little braid on the side and just keep it there untill you use it. So, divide your hair into two sections. The upper section can be a little smaller than the other one. Now take the upper section and just make a low twist (like you're makeing a little bun) and pin it. 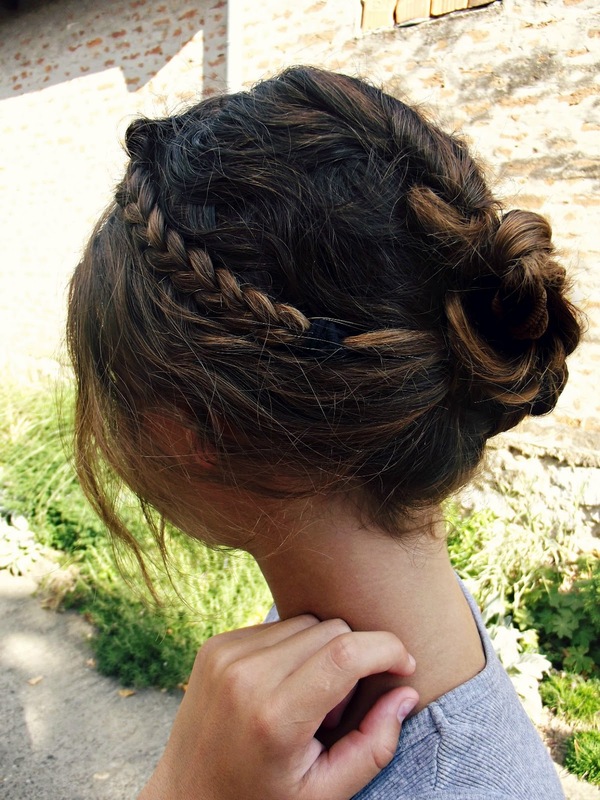 Take the low section and braid a regular braid. Make sure that you don't pull it down when braiding, that'll just make a strange bump. Use an elastic to tie it. 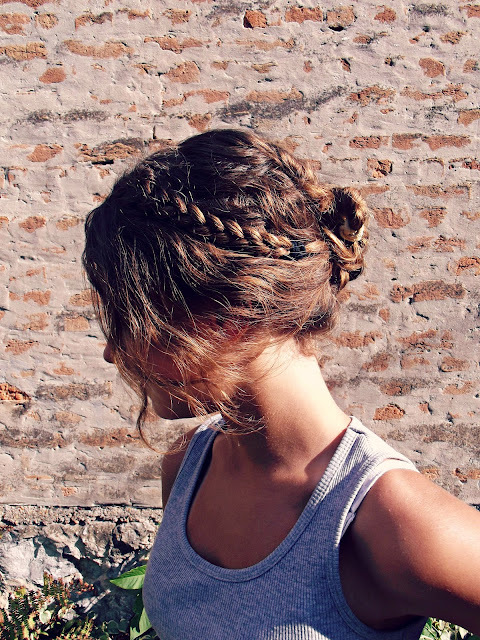 After that, take the braid and twist it around the mini bun. As you can see, we didn't find an elastic that matches her hair color, but you can always fix that by covering it with hair. Make sure that everything is solid so it won't fall off. 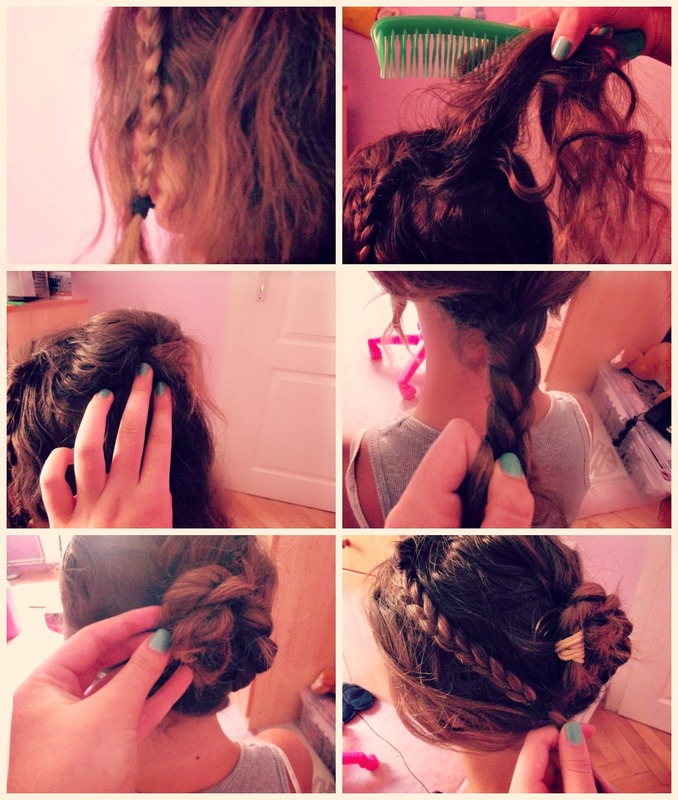 At the end take the little braid and pin it under the bun. That will give you a beautiful, casual look. You won't need any hairspray, we also didn't use any hair products in this tutorial. Ana's hair is naturally thick and curly. Great idea! 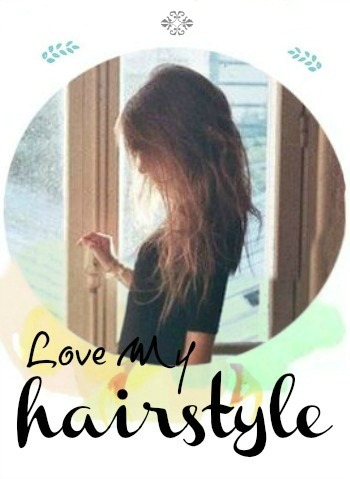 I love my looong hair but sometimes it's so boring.